Andover Miami network and data center liquidators provides network liquidation and Cisco asset recovery solutions to corporations, governments, small businesses and all other types of businesses in Miami seeking to sell their surplus network and data center assets. Andover Miami network and data center liquidators offers comprehensive services to save your business time and increase its cash flow. We buy network gear for a fair price. "I WANT TO SUBMIT MY SURPLUS NETWORK EQUIPMENT LIST!" Andover Miami network and data center liquidators provides a complete range of services to help liquidate your business's high-tech assets. We will come to your site, inventory your firewalls, load balancers, servers, routers, and other data center assets,and pack them and ship them to our secure warehouse for their final disposition. Andover Miami network and data center liquidators will maintain the security of your physical assets as well as your private data at all times. We will perform any data wiping necessary and dispose of all eWaste as mandated by state and federal laws. Audit-ready documentation will be provided as required by your business. Andover Miami network and data center liquidators buys servers from around the Miami metro area including Miami-Dade, Broward, & Palm Beach Counties; Central Business District; Brickell Financial District; South Beach; Port of Miami; Miami International Airport; Miami Beach; Midtown; Wynwood; and Edgewater. We will come to your colocation as well including the following sites: 100 N. Biscayne Blvd Building, 49 NW 5th St, 1 NE 1st St, 8790 NW 18th Terrace, 16563 NW 15th Ave, 36 NE 2nd St, 200 SE 1st St, 50 NE 9th St, and 100 NE 80th Terrace. 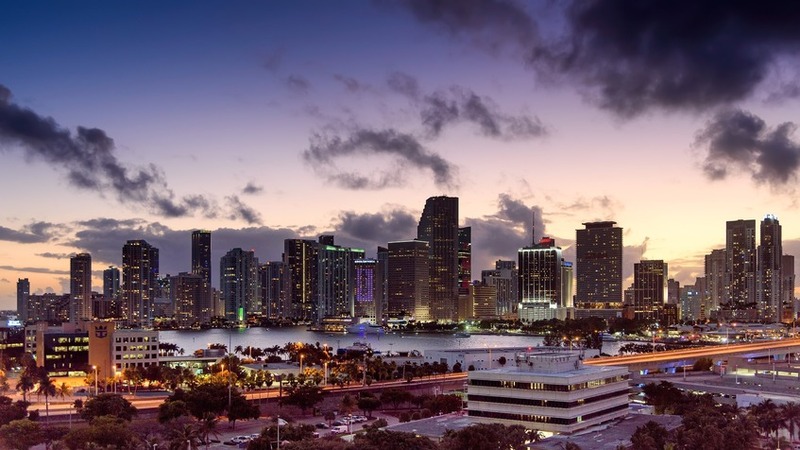 Andover Miami network and data center liquidators buy most types of high-tech equipment found in Miami's businesses including routers, APC PDUs, VOIP phones, firewalls, load balancers, and servers. We buy most major manufacturers including: Dell, Sun, Apple, HP, Cisco, Foundry, Juniper, IBM, Compaq, Tascam, Sony, Nortel, Epson, Lucent, Motorola, Samsung, Symbol, Canon, Ricoh, Toshiba, and Fujitsu. Andover Miami network and data center liquidators maintains an extensive list of network remarketing channels and can offer high market values for your surplus Cisco, servers, routers, phones, monitors, and other high-tech assets. Contact us now by phone, email or by submitting the form below to find out what Andover Miami network and data center liquidators can do for your business.